Leave a comment on THIS post by 6 p.m. CT Tuesday, June 21, 2016 to be entered in the DRAWING for a copy of the book below. If you mention in your comment that you’re a follower (see in the left sidebar “Join This Site” and “Follow by Email”), I'll add your name a second time in the drawing. U.S. mailing address required to receive a paper book. I may or may not have read books offered for giveaways. The mention and giveaway of books on my blog does not in any way indicate any manner of my endorsement of said books. Read book giveaway details at Disclaimers. To provide you security, please leave your email address like this: johnATyahooDOTcom. Winner announced in next Thursday's blog post. groups, Carole enjoys mentoring beginning writers. She loves to weave suspense, tough topics, romance and whimsy into her books, and is always on the lookout for outstanding titles and catchy ideas. She and her husband reside in SE Ohio but have ministered and counseled nationally and internationally. Together, they enjoy their grandsons, traveling, gardening, good food, the simple life, and did she mention their grandsons? Welcome, Carole. What do you enjoy doing for relaxation? I love my family and any time my hubby and I can spend with them, is precious indeed. Since God blessed us with grand boys, we continually plan activities and/or fun things to do that center around their interests. We take vacations with our sons (and families), eat out, share holidays, etc. My husband and I love to travel and have friends across the country. We live simply in the country enjoying our quiet hobby farm--gardens, animals, walking, reading, working together, sharing times out, eating from the grill, etc. I also love scrap booking, a fairly new hobby, when I can find the time to do it. I’m also considering making beads, paper weights, etc. with dried flowers. Music is a biggie with us, singing and listening to the music we love. In the fall of 2016, book two of the WWII Spies romantic suspense series will release: A Flute in the Willows. It features the second, red-headed Rayner daughter, Josephine, the rebellious one who eloped during the first book (With Music in Their Hearts). But betrayal of trust, injuries and a revengeful foreign spy all collide to bring Josie and her husband, Jerry, together again . . . and to their knees. A mid-spring date will see the third book in my Denton and Alex Davies cozy mystery series release. It’s titled Daffy’s Duck, and along with Denton and Alex, readers will get to meet Daffodil and Jeremy Meadows, owners of a Colorado ski resort. Sister Daffy happens to have a little fame with her duck paintings, and much older brother Jeremy oversees their business and tries to keep Daffodil under control. They have a problem with some long-lost, estranged relatives who are determined to gain Daffy’s trust, er, money. Post reviews wherever you can. Share with others. Word of mouth is the best advertisement! Follow the author: Twitter, Facebook, Goodreads, blog, wherever! Sign up for their newsletter. Please tell us a little about your novel, Knight in Shining Apron. concert pianist to marry the man of her dreams. He turned out to be a nightmare. When he dies in a car accident, Starli takes the insurance money and builds a successful and upscale restaurant: Apply Blossoms in rural West Virginia. Threats from someone determined to ruin her life--or is it win her love?--and the suspicious romantic advances from her new chef force Starli to search her heart and finally turn to God for real healing. 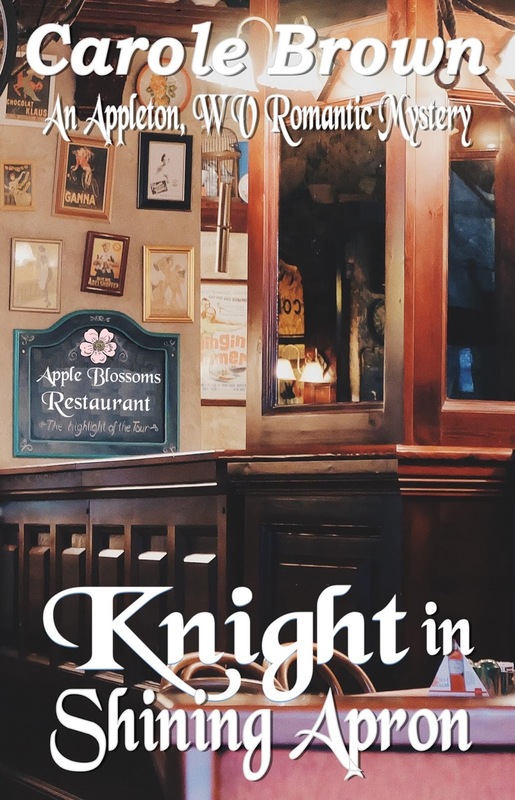 Where can readers purchase Knight in Shining Apron? Do keep your eye on my Amazon Author Page to find Knight in Shining Apron as soon as it releases--THIS MONTH! Don't miss it! My mother and dad began attending church when I was a preteen. From that moment on, God captured my love--not saying I never strayed, but he was always there wooing me back to himself. From there, I can look back and see how God guided my steps and life. I was engaged, but we separated. I planned on attending a certain school, but felt led not to do so. I finished college with two degrees. I dug deeper into church functions, leading children’s activities, helping with the musical aspects and eventually with private school teaching. 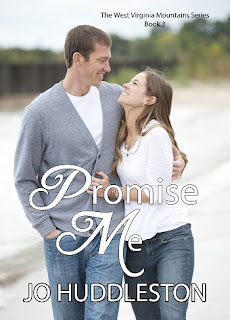 When I met my husband, I was captured by his strength, his firm belief, his strong personality, and his love. Every step in my life led me to the moment of our marriage, and then a lifelong love, adventures and travel, and service to the God we love, which, of course, gave me the opportunity to pursue writing as a career! Carole, thanks for visiting with my readers and me. 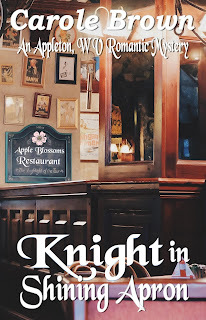 I'll draw from among commenters for a winner to receive their choice of an eBook or print (to U.S. mailing addresses only) copy of Knight in Shining Apron, that Carole has offered. Commenters, please leave your email address so I can contact you if you're the winner. The winner of last Thursday’s blog post for a copy of Second Choice by Ginger Solomon is Kyla. I’ll email you. Thanks all for commenting. Watch for more book giveaways. I enjoyed Carole's interview, and I know she'd be writing, BUT, if she wasn't, she'd be traveling and thinking about how to share her exciting travels. Your new book looks great, and obviously has some good plotting, twists and turns. God continue to guide you Carole, as you look to Him in your writing. Ah, thanks, Diane! You're such a great author yourself. Your praise means a lot. Thanks for stopping by! Diane, thanks for leaving your comment and for joining my site! I love Carol's books and can't wait to read this one. Pat, thanks for coming by and leaving your comment. You made me smile, Patricia. Thanks so much for commenting! Appreciated. Thank you Carole and thank you Jo! Melanie, you're welcome. Thanks for stopping by and commenting. You're very welcome, Melanie. Thank YOU for stopping by! we've done some, but for short periods. Thks so much 4 stopping by.